The humble apostrophe has made the news again. 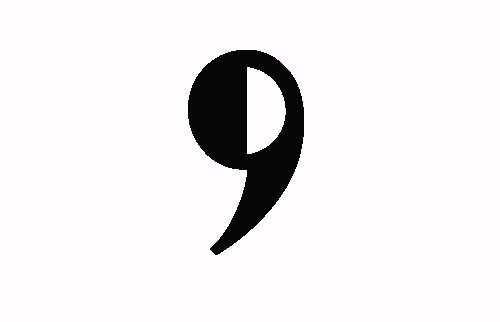 As I settled down to my toast and home-made jam on Saturday morning there was a discussion on BBC Breakfast news about this much misused punctuation mark. So why the worries this time? Well, a runner-up of The Apprentice has decided to drop the apostrophe from her business name, Bakers Toolkit. Ok, that’s nothing new, why the fuss? The BBC thought this was so newsworthy that they got Luisa Zissman in to defend her actions against Hilary Moriarty from the Boarding Schools’ Association. There was a lovely discussion, mentioning brands that have dropped the apostrophe (Waterstones, Morrisons, Boots) and the fact that Devon County Council has dropped the off the curly terror from street names, not mentioning that Birmingham City Council did the same thing back in 2009. The fact that gaining an A in a GSCE these days does not mean you are good at punctuation also reared its ugly head (this saddens me, as in my day if you couldn’t spell or punctuate properly you didn’t have a hope of getting an A pass). But on the BBC website Luisa admits she isn’t good at grammar and will hire a proofreader to check out her website. Now, that’s a good thing, she knows her strengths lie in business and isn’t ashamed to admit it. The BBC gave us five minutes of discussion, skimming the surface and coming to the conclusion that perhaps no-one is right. However, they did raise a very valid point. Branding. These days it’s all about what looks good, what catches the eye and what the public take from your business position in today’s market. So does a missing apostrophe matter in branding? Well, the history of the apostrophe dates back to around the C16th when it was used less for possession and more to show that letters were missing. I won’t go into it here, but if you are interested here’s a good little article here to read, and Michael Rosen, who reckoned last year that the apostrophe is on the way out, published a fabulous article here. As I’ve mentioned before, language is constantly evolving; what is commonly used in one century slowly morphs into something new the next, if it didn’t we’d all still be talking like Elizabethans (the first ones). Having worked with a fair few historical texts in my time, I can vouch for it too. There are no real “rules” as such, not really, just “conventions”. No-one really makes the rules, we just tend to follow common useage. After all, who actually makes the rules of language? The people that use it usually lead the way. So, even though there may be those who hold their hands up in horror, it is acceptable to drop the apostrophe in branding… if that’s what the company wants. Not that I really approve, the good old apostrophe is my favourite punctuation mark as he can bring so much meaning to a sentence. But not necessarily a brand. Waterstones is a truly fabulous bookshop, whatever the punctuation. Go buy your books from them, click on the image. Erm…Waterstone’s what? For a brand it actually made sense to drop the punctuation. Waterstone’s shows possession…possession of what? Well, obviously Waterstone’s bookshop….but that’s not the brand…it’s just Waterstones…everyone knows that it’s a bookshop. If the branding was “Waterstone’s Bookshop” then that would make sense, but Waterstones stands on its own. See, possessives aren’t always needed. Bakers Toolkit says it all…and she’s actually right….should it be Baker’s Toolkit (the toolkit of the baker, or someone called Baker) or Bakers’ Toolkit (the toolkit of the bakers, plural). Best to leave it out, then there is no ambiguity, it can be the toolkit for bakers in general and leave it at that. Branding these days needs to look good, and it’s not all about typography… if the punctuation looks fussy and is slightly redundant, does it matter if it’s ditched? Will the buying public be any less interested in the products if the apostrophe is missing? For one thing they won’t be able to take “OMG look at this” photos to put on twitter and the rest of the web to embarrass the proprietors! To have simple branding makes things a lot easier in an age when life is spent on-line. If you use the punctuation what happens to your website address? It you use a possessive you have to drop it anyway! So finally you have to ask… if the name works without the punctuation, what exactly is the point of keeping it in a brand. Keep branding, and business names, plain and simple. Try to keep web addresses the same as the business name; the less chance there is of anyone misspelling it, the easier the brand will be found. A frustrated web-searcher could be a lost client, and with most brands trading online these days that loss can add up to a pretty penny. As long as your website and business literature use punctuation correctly, then a dropped apostrophe should be no big deal. But those councils that drop the apostrophe in place names? That’s just plain lazy. So what do you think? Should brands stay grammatically correct, or is it just possible that in this instance the apostrophe just leads to trouble? As long as they leave good old Westward Ho! alone I can cope, mind you Allswear and No-Mans-Land in Devon do look funny! Too much for my small brain Sara -J. I’m (note apo strophe) still trying to get to grips with the semi-colon.